2228 years after Archimedes is said to have destroyed an attacking Roman naval fleet using mirrors, we will bring the Sun Tower to the playa and try to set it on fire the same way. 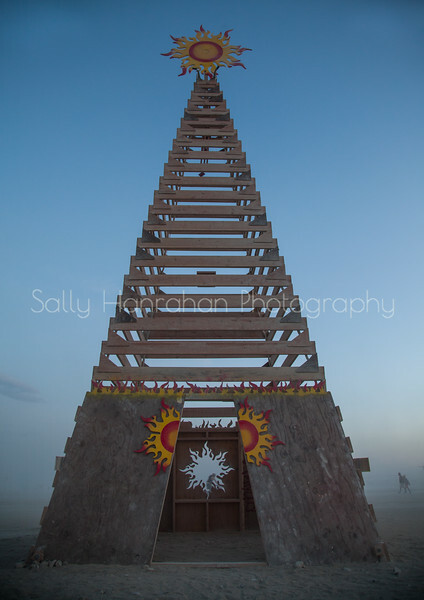 This 30+ foot tall climbable tower will have a sun shaped mandala at the top. On friday around 1PM hundreds of particpants around the perimeter will be given mirrors to reflect sunlight at the center of the mandala where a target wad of cannon fuse will catch fire and set the rest of the tower alight.